Fuse noted pieces. Sew fly facing to right side crotch. Turn to face & press. Set aside. 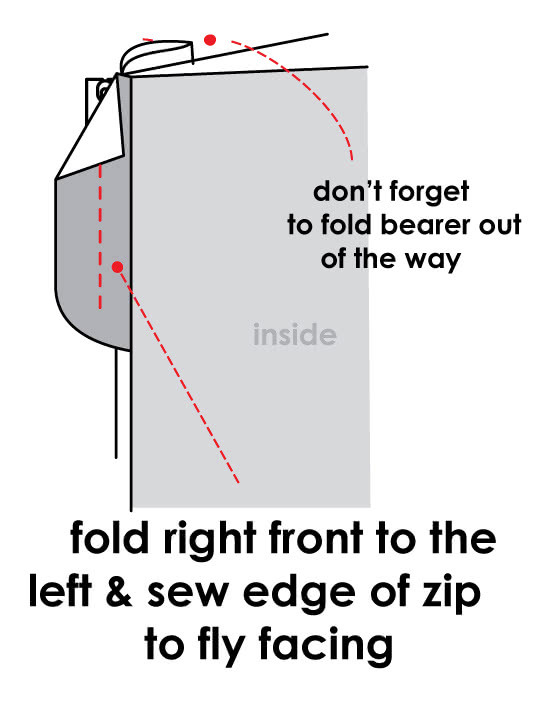 Sew zipper to left side crotch. Cover zipper with bearer & sew. 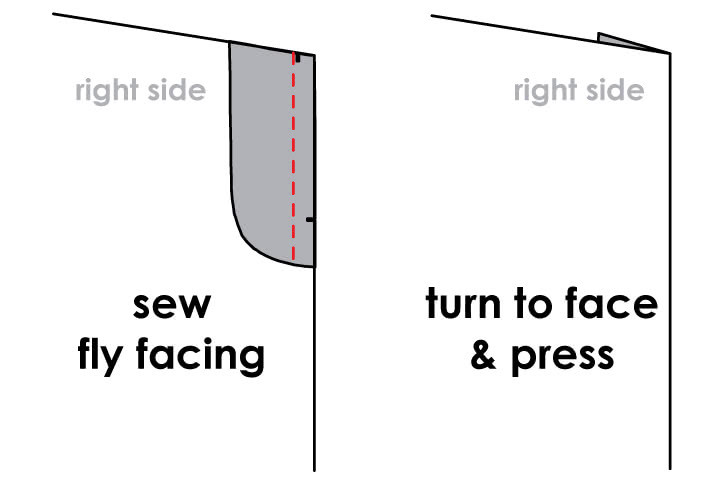 Turn to face & top-stitch close to seam. Join left & right crotch seams up to zip. 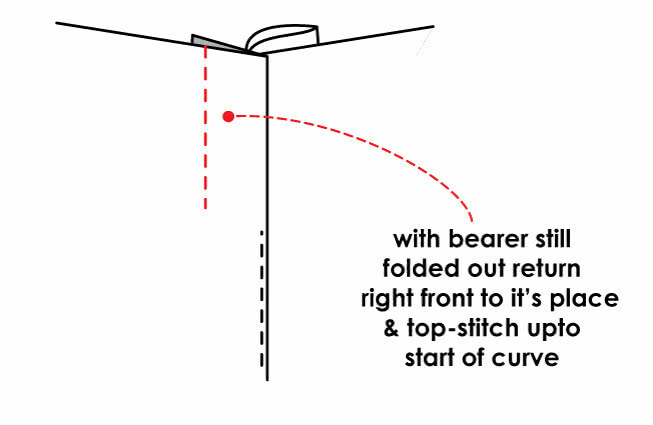 Make sure that zipper in covered by right side & top-stitching isn’t visible from face. Holding the top corner of right side fold right side to the left. Flatten the fly facing & pin zipper edge to facing. Fold fly bearer out of the way (you can pin it to secure). 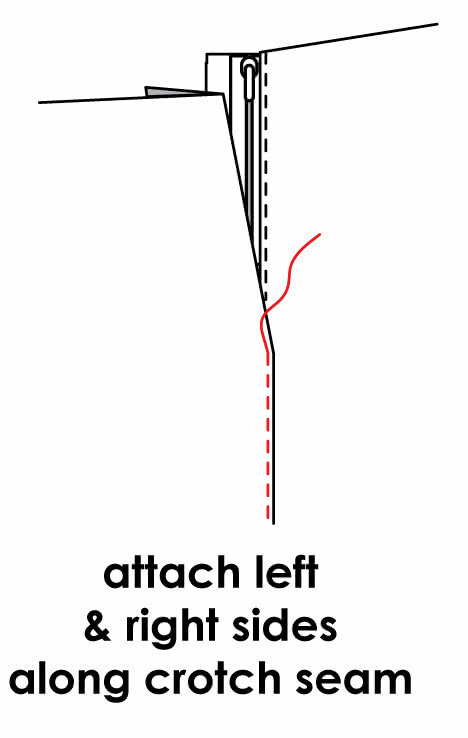 Sew zip to fly facing. With the bearer still folded out of the way return right front to it’s place & top-stitch from face up to start of curve. 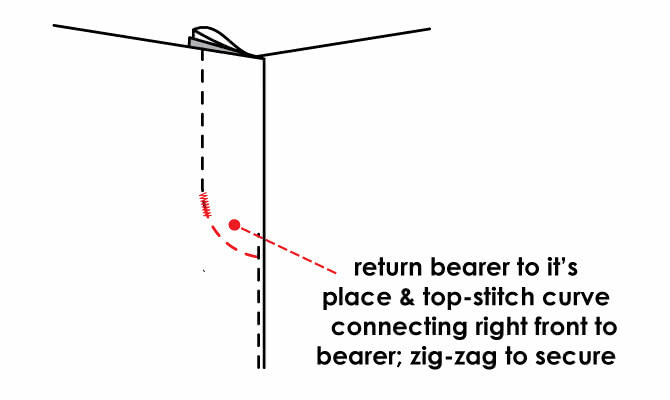 Return bearer to it’s place & top-stitch curve connecting right front to bearer. Zigzag to secure opening.